Ronnie Russell was born in Aberdeen, but has spent most of his life in Troon. 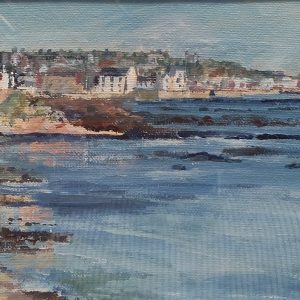 After over 20 years in Textile Design, Ronnie is now a full time artist and cartoonist, specialising in personal character birthday, anniversary and special events cards he also does landscape painting in acrylic and watercolour. 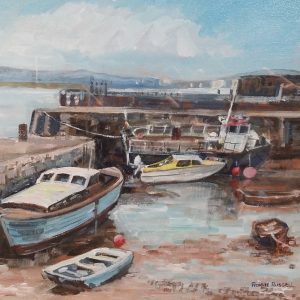 Ronnie exhibits his work in a number of galleries throughout Scotland, such as the Scotlandart.com galleries in Glasgow and Edinburgh, the Framework Gallery in his home town of Troon, the Riverside Gallery in Inverness, the Aberfeldy Gallery, the Village Gallery, Meigle and Waverley Gallery in Prestwick. 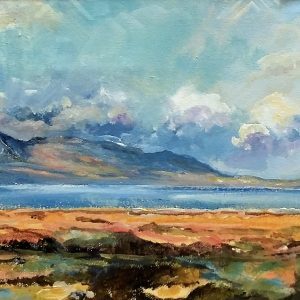 He also regularly exhibits in the Paisley Institute Exhibition, the MacMillan Exhibition, Glasgow, Pitlochry Festival Theatre, and the Save the Children Exhibition at the MacLaurin Gallery, Ayr. He also has one man shows in Culzean Castle. His work can be found in many private collections throughout the world, he also has a painting in the private collection of the House of Lords, London.